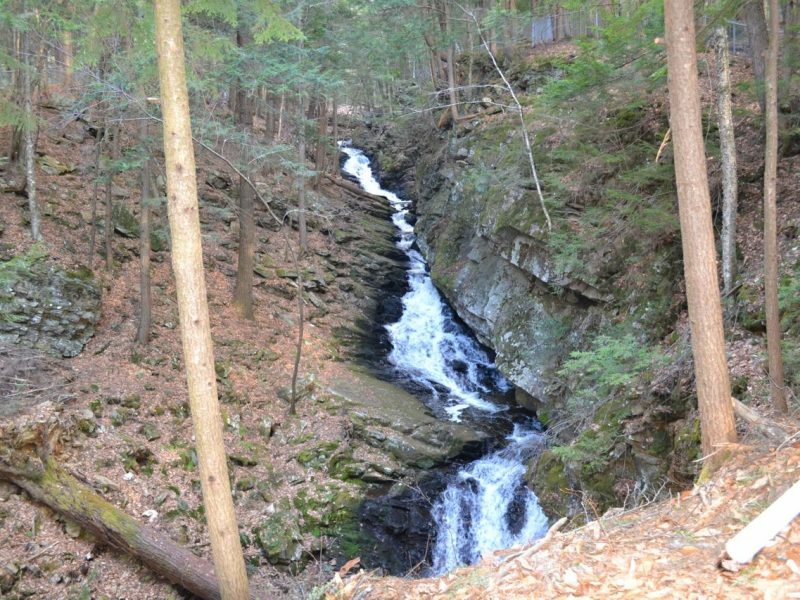 Located just outside of Keene NH, Chesterfield Gorge is a small wayside park maintained by the NH State Parks. 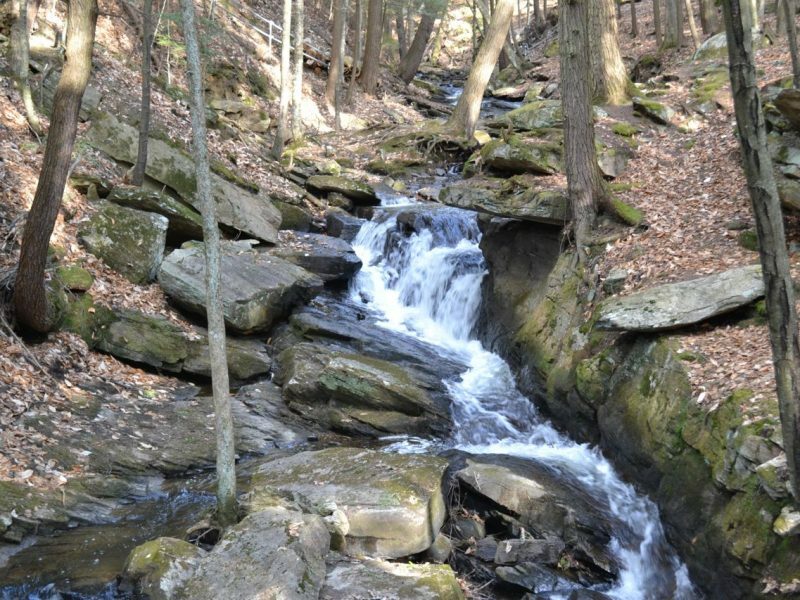 It features a short less than one-mile loop trail around a deep gorge. The trail features fencing along most of the trail to ensure hiker safety, but there are still some areas without a fence so use caution with young children. 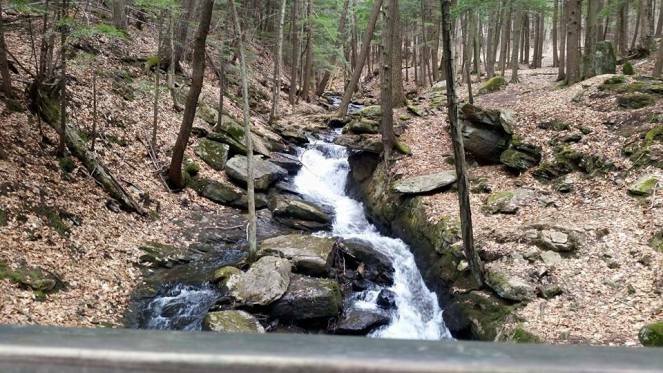 A loop trail takes you around the beautiful cascades of Chesterfield Gorge. The trail begins as a wide dirt path through the forest. It slowly travels downhill until it reaches the brook. At the bottom of the gorge, there is a small area for a break and creek play if so desired. At the parking area, there is a larger picnic area with tables. There, it forks, with one side crossing the brook on a bridge. We recommend completing the loop in the counterclockwise direction. The trail is fenced on one side, as there is a steep drop into the gorge. 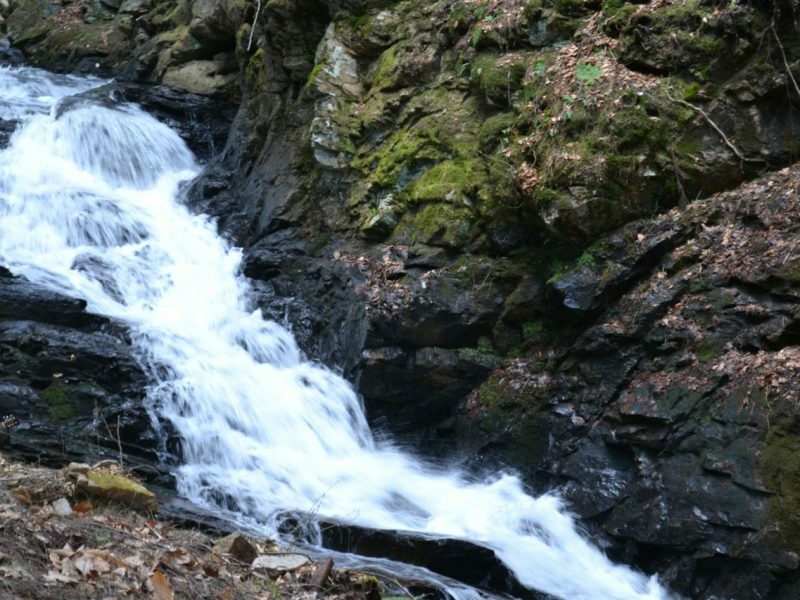 There are many cascades in the gorge, the tallest of which is 18 feet. At the end of the loop, the trail crosses the stream again and heads uphill. This side provides a view of most of the cascades. A small souvenir store is open seasonally. The parks visitor center and store is opens May 4 for Sat/Sun and full-time June 15 from 9am-5pm until October 27th. There is a pit toilet available year round. During the off-season the park is typically not staffed and comfort stations are not available. This park is always open for recreation unless closed or restricted by posting. 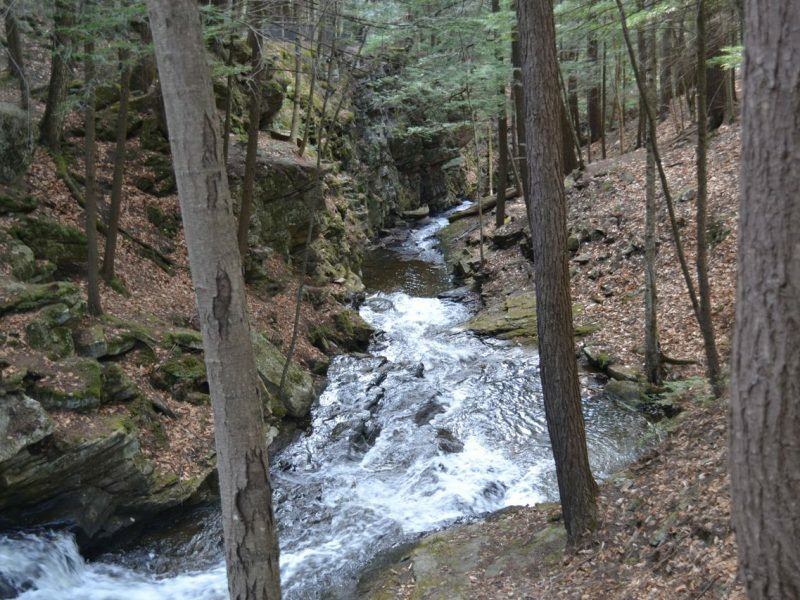 Trail follows along the Wilde Brook down into the gorge. 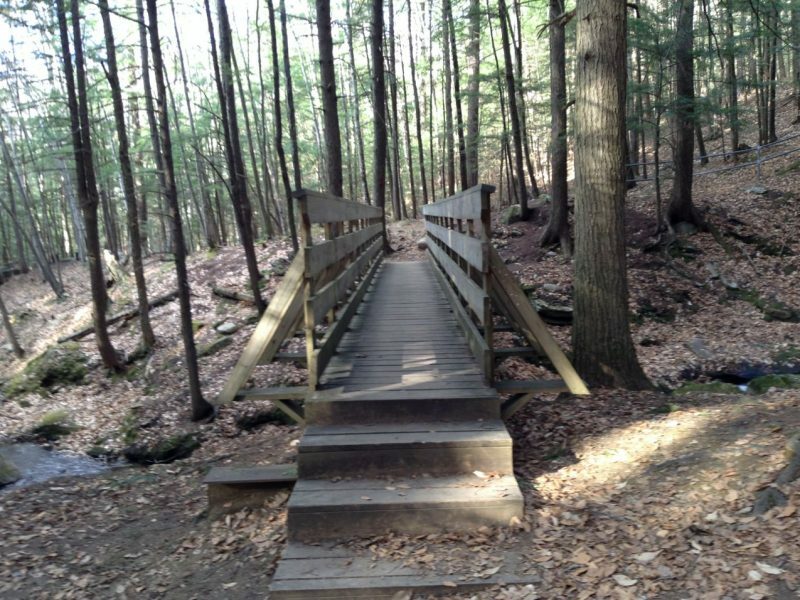 There are two bridge crossings along the trail. 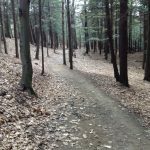 Trail address is 1823 Route 9, Chesterfield, NH 03443 and is located in the Chesterfield Gorge Natural Area. Trailhead and parking area are on Rt. 9 in Chesterfield, NH, 3.2 miles east of Rt. 63 and 5.7 miles west of Rt. 12.